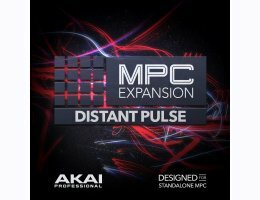 Distant Pulse is a collection of Analogue/Digital instrument patches that deliver outstanding sonic quality across all the latest genres enhancing your MPC production skills. Instantly load patch types such as “Deep Club Basses, Ambient Lush Pads, Deep Synths, Dark Epic Pads, Moody Reverb Plucks, Epic Leads and Ambient Keys, expanding your instrument collection for all Standalone MPC’s". Each patch has been carefully sampled and Keymapped into AKP formats with all loop points set - allowing you to take advantage of features such as “Pad Performance Mode” for instant chord progressions and scale functionality.